When the wind blows and the rain falls the best way to go wild is with one’s imagination. I saw this little fella making his way home, scythe over his shoulder, keen to get warm by the fire. He stood straight a moment then stroked his beard and went on his way. He might have smiled but his beard was too thick to gauge his expression. 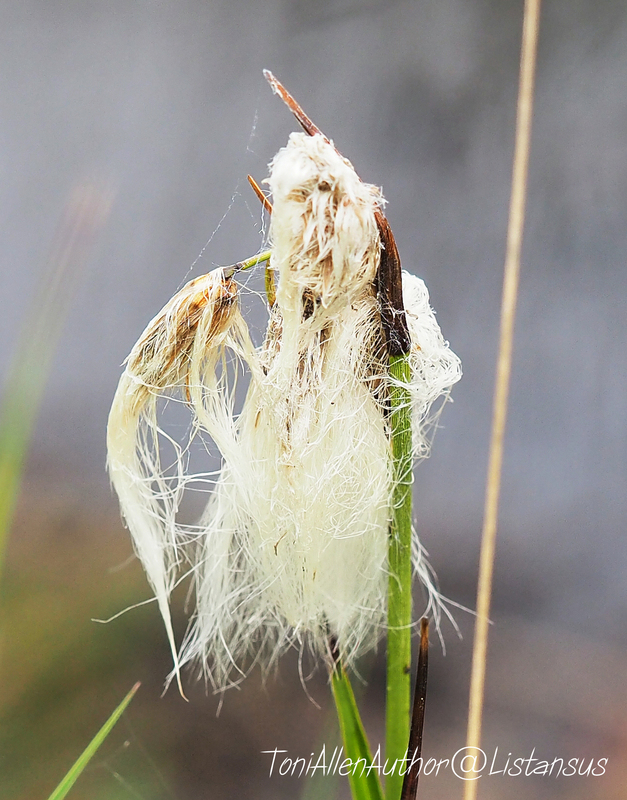 The fluffy white heads of the Common Cotton-grass can be seen swaying in the wind on the boggy heath along Elstead Boardwalk on Thurlsey Common. It isn’t truly a grass but a sedge. I often think it’s a pity it flourishes too late in the season for most birds to take advantage of its fine strands for nesting material, but I’m sure some do if they have a second clutch. Do you see people and faces in the trees, leave and grasses like I do?